Computer Aided Design and Computer Aided Manufacturing (CAD/CAM) allow individual tooth reconstruction and most exigent implant denture. Single teeth, bridges and dentures can be milled for example by highly strong, biocompatible zirconium dioxide. You natural tooth will be scanned digitally by a laserscanner. The dental restauration is then being designed on the computer by dental technicians. This data is then sent to a CADCAM production centre. By the help of the latest in technology, the firm and precise framework is formed of zirconium dioxide ceramics. This framework is then passed on to a dental laboratory where its colour is adjusted to your natural tooth colour by hand. 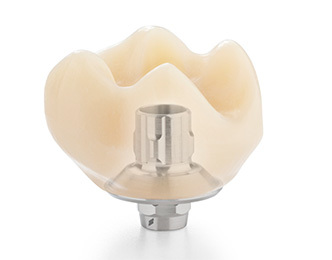 Zirconium dioxide ceramics allow us to offer you the highest aesthetics and convincing comfort.